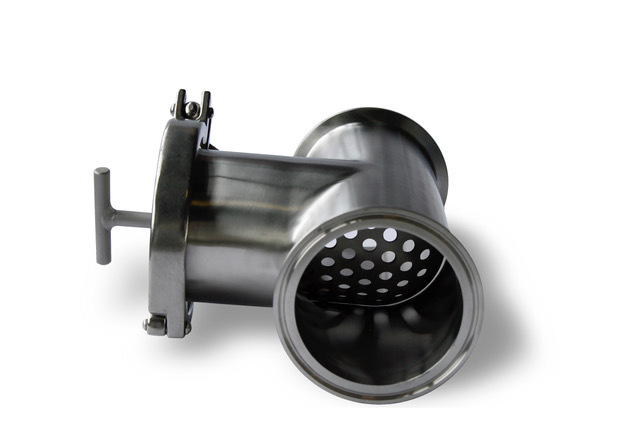 Sani-Matic Tee-Line Strainers are designed to keep foreign materials such as gasket pieces, bolts and other items out of your pumps, valves and process equipment. They are installed before the suction end of your pump, as an economical and easy way to protect your valuable equipment. The Tee-Line Strainer is engineered with simplicity and durability in mind and the tri-clamp fitting allows quick and easy insert removal. And, because the Sani-Matic Tee-Line Strainer’s open area of perforation exceeds line size diameter, there is zero pressure drop.